The Ancient Giant Beaver, (Castoroides leiseyorum) was a giant ancestor of the North American Beaver, that is apart of the rodent family that lived over ~2.5 million years ago. This Beaver was incredibly large, about 2.5 meters in length, and an estimated weight of between 60 to 100 kilograms. Little information is still known of the Ancient Giant Beaver, but fossils recently surfaced have given a basic understanding of the Ancient Giant Beaver. 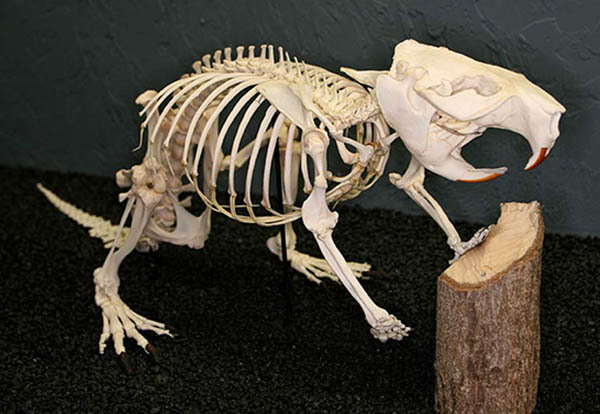 One fact known is that the fossils have only been found in North America, meaning that the North American Beaver is a direct descendant of the Ancient Giant Beaver. It looks a lot like a beaver - hairy body, flat tail, limbs and webbed feet adapted for swimming - but it lived 164 million years ago. A well-preserved fossil mammal discovered in northeastern China (map) has pushed the history of aquatic mammals back a hundred million years, a new study says. It is the oldest swimming mammal ever found and the oldest known animal preserved with fur, the researchers say in their report, which will be published in this issue of the journal Science. "The origin of fur predates the origin of modern mammals," said study co-author Zhe-Xi Luo, curator of vertebrate paleontology at the Carnegie Museum of Natural History in Pittsburgh, Pennsylvania. "This discovery has pushed fur-bearing nearly 40 million years further into the past," Luo said.Until now, the oldest mammal fossils found with fur, such as the mammal Eomaia scansoria, were about 125 million years old.